What is Web Camera Motion Detection? Web camera motion detection is the use of a web camera with software on a computer that allows the camera to activate based on motion and capture images. There are a number of software programs that can be used for this purpose, some free while others can be purchased for a reasonable amount. 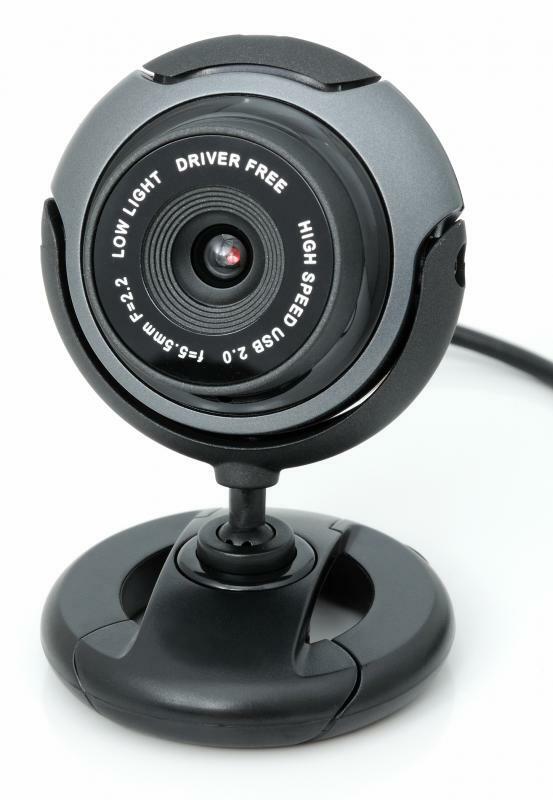 Once a webcam or digital camera is connected to a computer, then the software can be installed and configured to allow the webcam to be operated through motion detection. Web camera motion detection is often used for home or business security and surveillance. There are many ways in which web camera motion detection can be set up, though it will typically begin with hardware and software. The hardware required includes a computer and a web camera, or webcam. Different types of webcams can be used for web camera motion detection, including standard webcams that are easily connected to a computer and wireless webcams that connect to a local wireless network. This is often best when it would be impractical to have a computer located near the camera, such as for a camera mounted to the roof of a building or ceiling of a room. The software used for web camera motion detection can vary, both in price and functionality. Most webcams come with software to install onto a computer that will work with the webcam, though this does not typically include motion detection capabilities. Additional software can be downloaded to allow for web camera motion detection, and this can include freeware and commercial software. Once the software is installed onto a computer that is connected, physically or wirelessly, to a webcam, then the software can be configured to establish motion detection. Configuration is typically quite simple, though different programs can also offer other options that may require a bit more work to properly set up. Many programs, for example, allow users to indicate the amount of motion required to activate the camera and the way in which images are captured, through either still images or full video. Some programs can even be used to allow the images captured to be accessed through a more remote network, such as through a secure terminal over the Internet. There are even programs that can be used to send images captured by a camera to a person’s email address or mobile phone. In this way, web camera motion detection can be established and allow for surveillance from remote locations or direct messaging to a person of any motion that is detected in an area. What Is an IR Receiver Module? How Do I Choose the Best Motion Tracking Camera? How Do I Choose the Best Motion Tracking Software? How do I Choose the Best Home Surveillance Software?